Let us introduce the Berlin-based live-act duo CHANNEL X: It was in 2005 that mutual friends first introduced André and Mirko to each other. Soon after, the two enthusiasts decided to start producing music together and thus formed CHANNEL X. As André Quasar, André has been a regular DJ since 1996, playing a mixture of deep house and minimal techno in clubs like the renowned Casino. A DJ first and foremost, he only started to produce in 2003. Mirko, on the other hand, has been experimenting with the production of electronic music since 1996. He is a producer at heart, a precise technician redefining his set of possibilities with every technical advancement, while staying respectful to his musical roots, which range from Hip Hop, Jazz and Electronica to deeper and harder techno sounds like those of Alexander Kowalski. Their different approaches to the planet of techno are a genuine source of inspiration for both. Mirko started to DJ through André and André has focused more on his production skills thanks to Mirko’s motivation. This unique combination resultant in a powerful mixture of clicks, effects and pumping grooves is at the heart of the boys’ energy-laden live sets. Equipped with a machine park consisting of two laptops, a sampler, midi controllers and effects units, CHANNEL X have been rocking clubs around Germany, showing off their perfect technical know-how, stage wisdom and ability to adapt to the mood of the crowd. 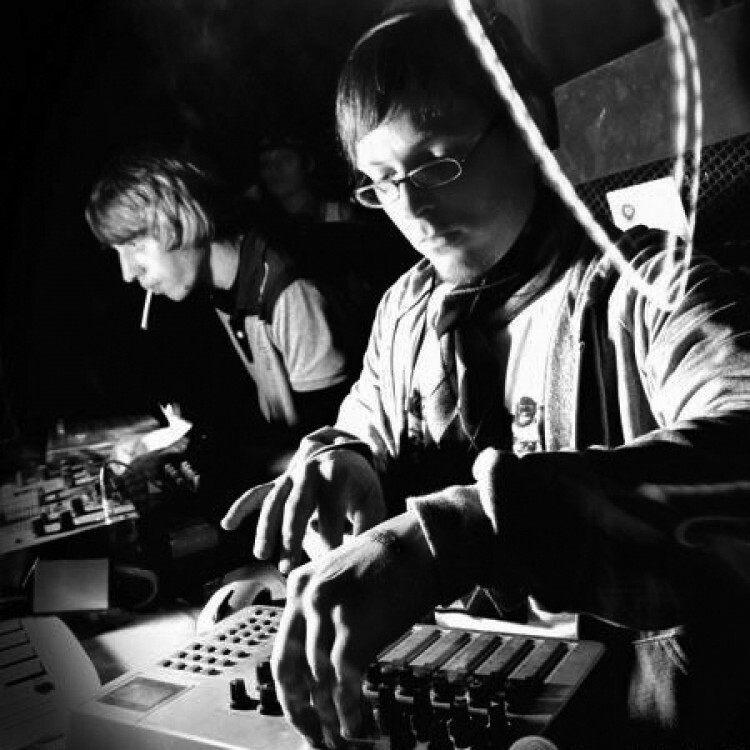 After many live shows around Berlin, 2007 saw the release of their first EP on the minimal label Kassette Records. Hailed by ravers and charted by DJs like Pan-Pot, Jeremy P. Caulfield or Afrilounge, the busy DJ Oliver Koletzki – amazed by CHANNEL X’s energy and skills – signed them for a release on his ever-growing label Stil vor Talent. Since then, many important releases followed, while their second album ‘Wonderland’ was set to be released in October 2012. The two boys, however, mainly focused on their live gigs. This way, labor intensive studio sessions, club gigs and festivals performances always go hand in hand, to never lose balance between theoretical and technical groundwork in the studio and its practical application in front of enthusiastic masses of the musical cosmos. While their track ‘Hangover’ marked the already 100th release on Stil vor Talent in the middle of 2013, which had advanced to become a kind of second home meanwhile, another highly anticipated milestone of their musical development followed with the release of their EP Time Machine on Marcus Meinhardt`s imprint ‘Heinz Music’. Apart from several other released singles on their mother label Stil vor Talent, such as ‘Need to Love’ towards the end of 2014, particularly their two tracks ‘Heat Up’ and ‘For You’, released on Veitengruber`s imprint Degree or Audiojack`s popular label Gruuv, have remained in the memories of connoisseurs and supporters of electronic club music. In the middle of 2015, the two Berliners were drawn back to domestic surroundings with their EP X, and Mirko and André celebrated a venerable remembrance of their debut album X Files, which was released on Stil vor Talent in 2010. Very short time after, their follow-up track ‘Supernova’ saw the light of day. In 2016, André and Mirko could directly credit themselves with 5 noteworthy releases, one of which the outstanding remix of Andreas Henneberg`s ‘On the Fat Tracks’, which was released on the label SNOE, operated by Andreas himself and Beth Lydi. Finally, their newest EP Satellite on the label 303 Lovers, conducted by Manuel De La Mare, Alex Kenji and Luigi Rocca has to be mentioned here, which currently conquers the shelves of record stores in Europe and across the globe. Because no matter if on festival stages in Europe or in the hottest clubs around the world, as it seems, there`s just no way around CHANNEL X anymore.